The summer isn’t even halfway over yet, and Rachel Stalker ’15 has two international teaching jobs. Rachel graduated with majors in both elementary education and linguistics with a concentration in English as a second language (ESL), a Spanish minor, and every intention to find a job somewhere beyond the border. While stateside and not-yet-graduated, Rachel completed her practicum requirements at schools up here on the North Shore. She completed her student teaching requirements at the Lincoln School in Guadalajara, Mexico, teaching third grade math. Now she’s graduated, she will work as an English language and cultural assistant for a year at Centro de Educación Infantil y Primaria San Pablo, a primary school in Madrid, Spain. There she will be “teaching English classes during the week and assisting the school in an understanding of North America,” she says. What’s more is that Rachel has been asked to return and assume a new teaching position at the Lincoln School in Mexico after she returns from Spain, she says. Located along the southwestern coast of Mexico, Lincoln School “exists to assist families in the task of providing their children a distinctive education in which all knowledge is grounded in the Bible.” It is a small private Christian school with small classes from kindergarten to 12th grade. Much of the curriculum is Bible-based, something the students wouldn’t be exposed to if they went to Mexican public schools. 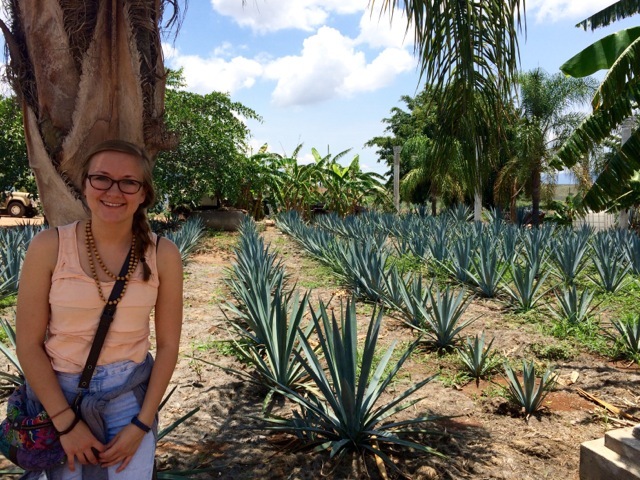 Since her sophomore year, Rachel has had international education on her radar. When she joined La Vida’s W.I.L.D. (Wilderness Immersion and Leadership Development) Semester, a Gordon outdoor education program, she realized her desire to face a few impeding fears and expand the scope of her career path. The following year, with her newfound courage in hand, she pursued several global opportunities to prepare her for her goal of one day living and teaching overseas. Studying abroad in Spain and participating in a missions trip to Romania introduced Rachel to new cultures, languages and living styles—something she is without a doubt grateful to continue learning at the Lincoln School. “Letting God lead me down this road of the future has already brought me to Spain to study abroad, to Romania for a missions trip, and led me here,” Rachel says.